COIMBATORE.SEP.21: Prof.Dr.A.K.Luke, 44, R.V.S.Homoeopathy Medical College, Coimbatore passed away following a massive heart attack. It was said that Dr.Luke drove his car with Angina to a private Hospital at 3 pm and passed over at 4.30 pm. Dr.A.K.Luke had bben graduated from Fr Mullers Homoeopathy Medical College and persuaded PG from Vinayaka Missions Homoeopathy Medical College . 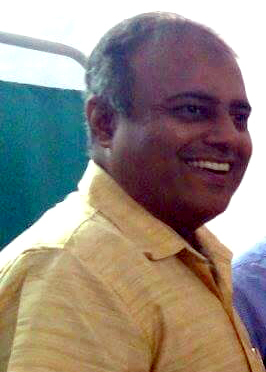 He joined as lecturer in RVS Homoeopathy Medical College and served as HOD, Organon of Medicine. His nativity is Kerala, near Tiruvella and he lived with his wife and three children at Coimbatore. He will be greatly missed. The entire community pays Homage to Dr.A.K.Luke. The principal, staffs and students were deeply shocked paid their tributes with tears.